Apologies everybody for the incredibly lengthy gap between my last post and this one – I’ve been busy! On Friday 26thof October at 21:54, Lis and I became parents to a beautiful baby boy – Charlie Morgan Yu. My son is clearly a chip off the old block and a fan of endurance events; after a 60 hour labour, he was finally delivered via emergency caesarean-section due to complications! Lis and Charlie are both now doing really well one month later. Running has, unsurprisingly, fallen down my list of priorities – writing about running even more so! Lis has been incredibly generous with my running and continues to encourage me to head out. Some days I don’t have the energy, and other days I don’t have the desire, or the window of opportunity disappears. In truth, running fell way down in my list of priorities after the Lake Vyrnwy Half Marathon in early September – I actually have a near-finished race report for that particular event, but I just can’t bring myself to finish it due to how long ago it was. parkrun has allowed me to continue feeling like a member of the local running community. Lis and I have had so many well-wishers come forward to offer congratulations, which really has been touching. parkrun has seen me through quite a few of life’s milestones over the past seven years! Discussing my situation with Nigel Beecroft, we agreed that it’s been good while it lasted, with mostly weekly posts and the occasional twice-weekly post when a race features since 2012. Moving forward, I’ve decided to only post when I visit a new parkrun/experience a parkrun of significance and when I have a race to report on. This entry was posted in This week and tagged baby, Parkrun, paternity. Bookmark the permalink. Congratulations to you and your family Andy! Might see you at the Brass Monkey. I never managed to do York marathon, I was diagnosed with a pulmonary embolism the week before. Hopefully on the mend now and slowly getting back out, ths Monkey being the 1st challenge! Such a shame about Yorkshire Marathon, but glad to hear you’re recovering. I’ve not run further than 10 miles since September, so I too feel like Brass Monkey will be quite a test! See you in York! Congratulations to you both and good to hear you are still with us Andy. Can’t wait to read Charlie’s first parkrun report! Hope to see you at Cannon Hill soon (when I eventually lace my trainers up again)! Thanks Paul! I’m not sure we’ll do buggy runs (living in a terraced house makes prams challenging), so we may need to wait until he’s 4 for a junior parkrun! Feels like ages ago since I last saw you at Cannon Hill! Congratulations again and it was brilliant to see you all the other week. Glad you’re all doing well. 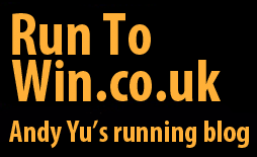 Good plan on the blog and only 3 years and 11 months till Charlie can get his parkrun barcode! Congratulations again to you and Lis, and I’m glad you’re doing the responsible thing. I’d gone out for a run while my wife was in labour, making it back an hour before the birth! And then racked up nearly 200 miles in the month afterwards! It’s been a pleasure reading your blog over the last few years, with great race recommendations, and without which there would be no shornrunner blog. I’ll look out for you at Brass Monkey, hope your training goes well.